On saturday we drove to Cologne to see Eric Prydz and Jeremy Olander live at Bootshaus and this was an event we will never forget. The crowd was just amazing and the music both played was just outstanding. In conclusion it seems to be the best gig of Eric where we have attended to. To show you how amazing this night was we shot a lot of footage. After 4 hours in the bus we arrived at Bootshaus at about 10 pm. Inside it seemed to be as cold as outside and the first hour the only thing we could care about was the temperature and not the music played by the warm-up dj. Two hours later, about 10° C warmer due to more people at the dancefloor, Jeremy Olander started playing his set and began to bring the crowd into the right mood for Eric. After seeing Jeremy on Christmas in Hanover we already knew that he can play good sets but this time the crowd was more open for his sound which made a better atmosphere in the club. Jeremy played a lot of great tracks like “Rypamont” “Ganza” or his 2012 version of “Loveflight” but two highlights of his set for us were definitely his amazing edit on Gotye’s “Bronte” and “You” aka “Privilege ID” by Eric Prydz. Eric was in the booth while Jeremy was playing and seemed that he really enjoyed the whole atmosphere in the club and it looked like he was telling Jeremy to play out the “Privilege ID”. We don’t want to bore you with more sentences as we think the videos speak for themselves and you can definitely feel how big that night was! All in all: Stunning night. Thanks to Jeremy, Eric for the music and of course to Chris and Fadma for doing those events! 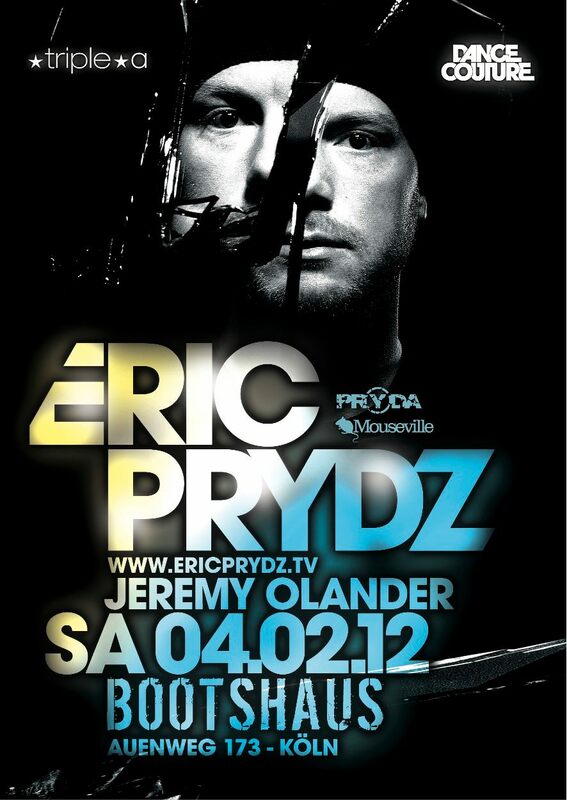 If you would like to see Eric Prydz soon after watching the footage we have some good news for you. He will be in Frankfurt on the 25th at Cocoon and in Hamburg, where we definitely will be attending to, on the 2 March. Check the facebook event page for Hamburg and let us know if you are coming. nice review! :) was a very cool night, highlight for me was the privilege ID.